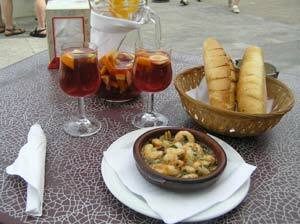 A small tasty tapas to start a Spanish meal. 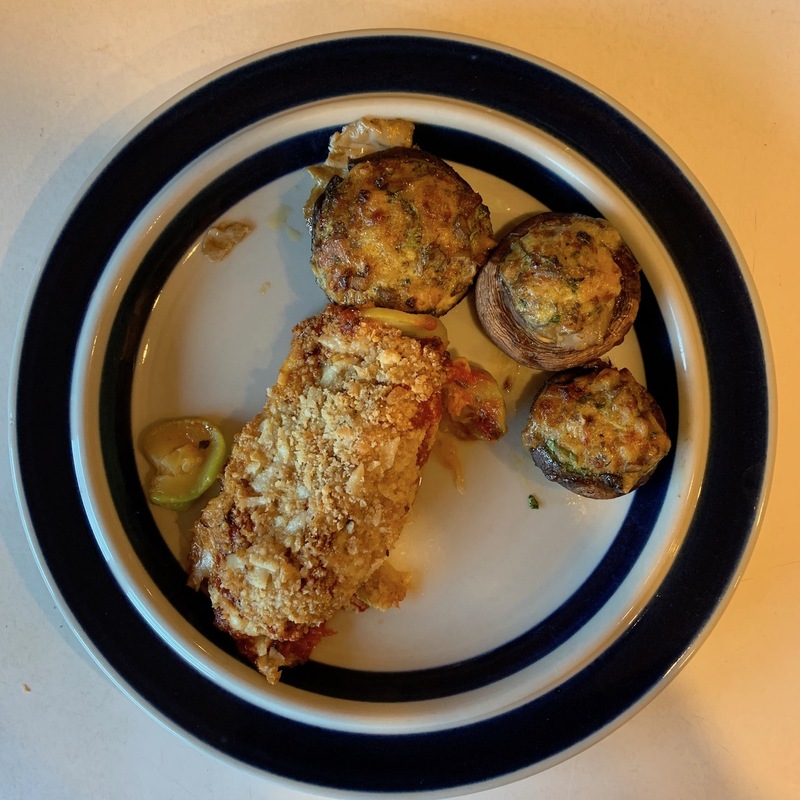 Need an easy recipe for stuffed mushrooms? 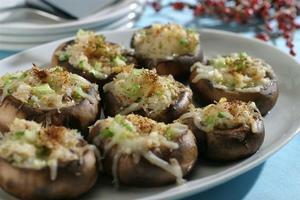 This stuffed mushroom recipe is a guaranteed crowd-pleaser! 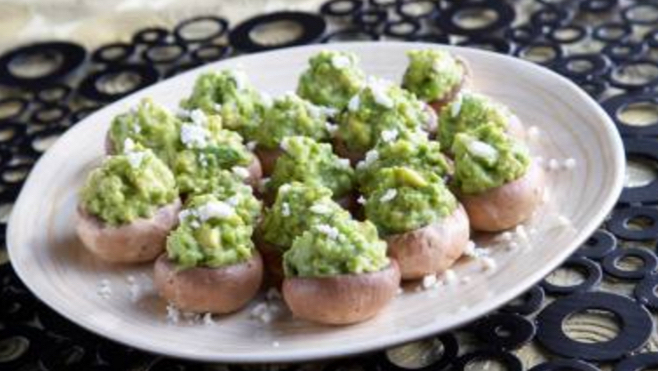 Cooked mushroom caps are filled with guacamole to make a perfect starter for any party, event or holiday get-together. Goes great as a first nibbler for about 4 people. It is savory, not sweet. Goes well with a frizzante or bubbly wine. One or two of these will get an Italian meal off to a great start. 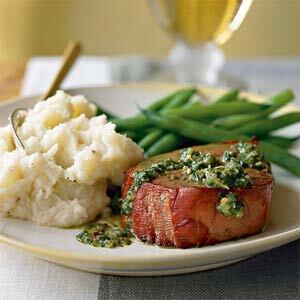 Makes 6 appetizer sized servings. Delicious. A big hit with the Shaw family. Enjoy in fresh fig season. 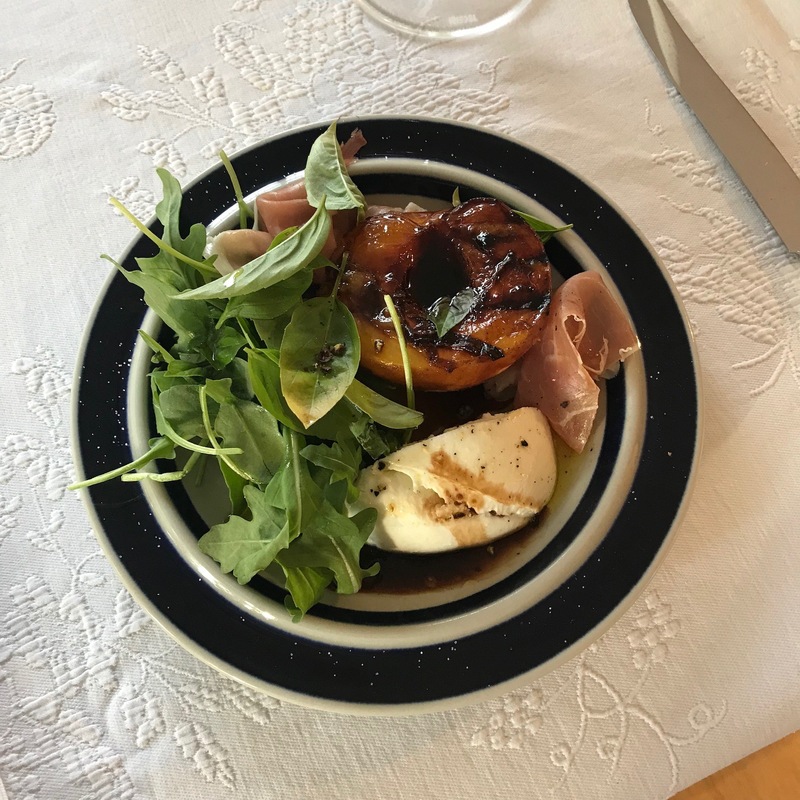 This dish is simply grilled peaches. It’s topped with a balsamic reduction, a spoonful of burrata and crushed pumpkin seeds. And salt! The sweet and salty is magical. This is the king of the dips. Lasagnette con pomodori, mozzarella e pesto. For cool plating, save a dozen of the chickpeas to scatter on the top along with a teaspoon of paprika and a tablespoon of olive oil. The combination of strong cheese and sweet honey makes thisi Italian aperitivo quite appealing. 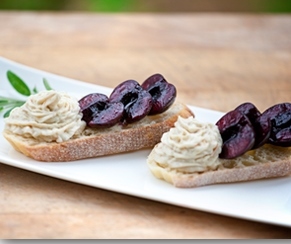 Pears and gorgonzola are a classic combination and you can not go wrong; the cumin seeds are pleasantly aromatic. A variation on the original. Bake the jacket potatoes up to 2 days ahead and store in the fridge. Once you've baked the potato base, you can leave it in the fridge overnight too. Simply prepare the topping before serving. The quantities can be fairly easily halved for a smaller batch. These delicious Red Wine Chorizo Bites are coated in an addictive honey and red wine glaze. 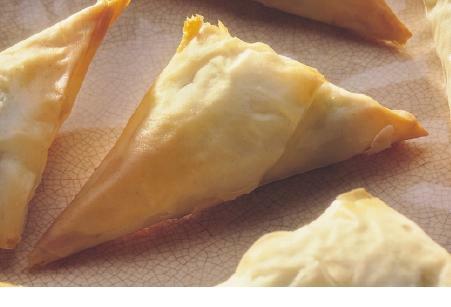 They're a super quick and easy appetizer recipe perfect for entertaining. This is rustic bread, prepared and eaten with Spanish passion. The ingredients dictate the quality: you want: dense, crumbed farmer's bread, mild sweet garlic, cold pressed olive oil, and quality field ripened tomatoes. 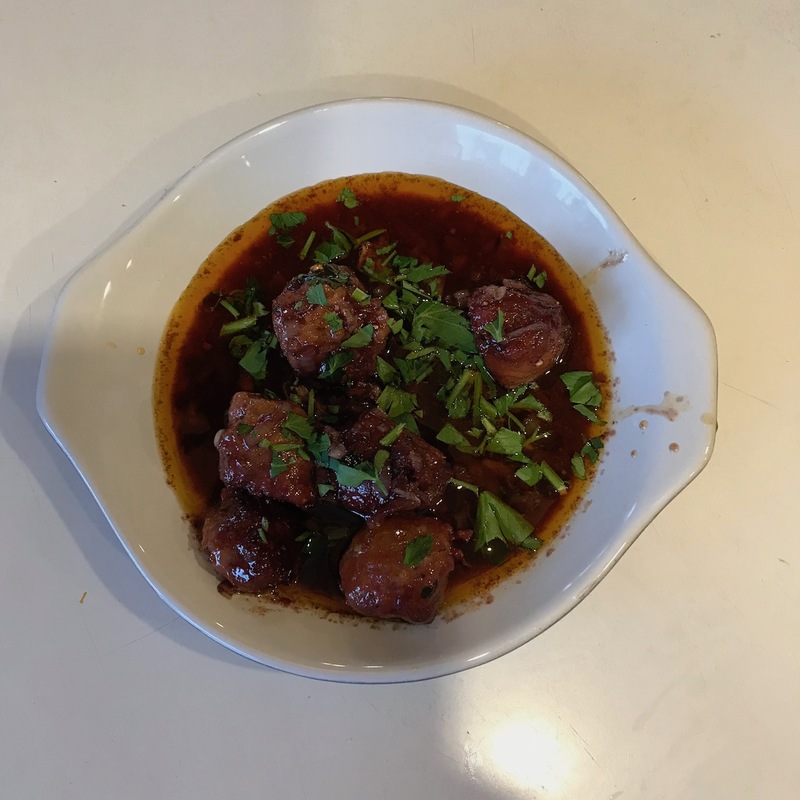 If you order this in the right Barcelona restaurants, you will note that all five element will arrive separately, allowing people to make their own combinations. 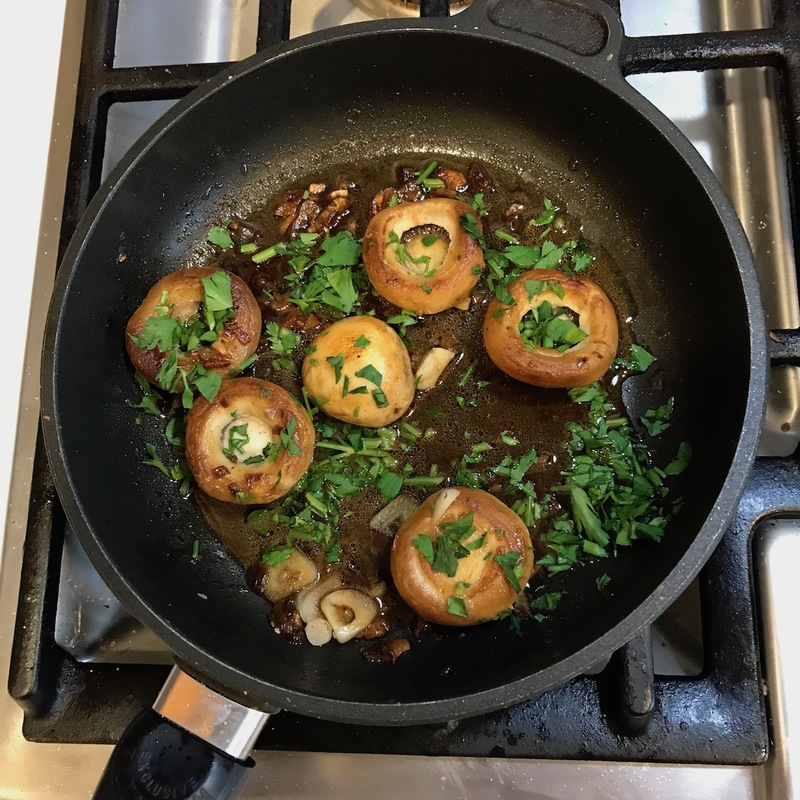 the main decisions involve the amount of garlic and the amount of oil you prefer -- and the amount of tomato and whether to eat the tomato pulp as well! 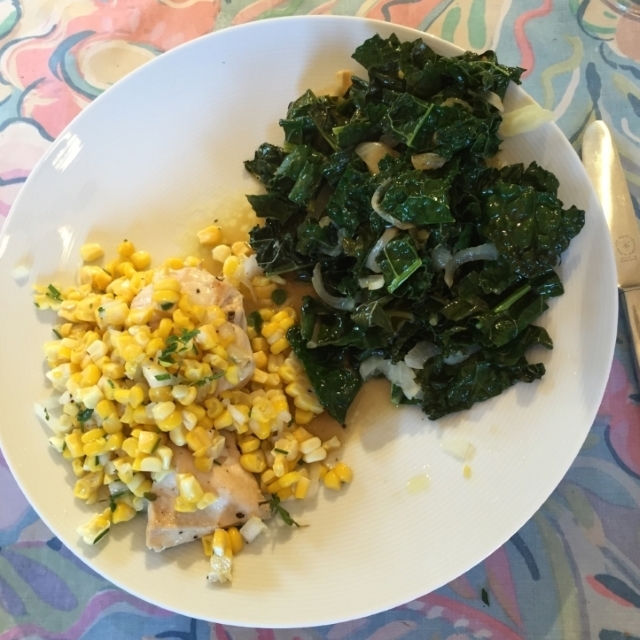 Serve it just as it is, no knives or forks! Monet got his salmon from Norway, but we are using West Coast Canadian salmon here. You pretty much have to go to Minorca to get Sobrassada, so I suggest substituting Spanish Chorizo or any sausage made with paprika. Great for a quick lunch.